We may be snow free here in San Francisco but we have been looking around to some colorful winter wonderlands for our white Christmas inspiration this year. In lots of cities around the world that lack pine forests beautifully encrusted in white snow architectural lighting stands in and rings in the holiday cheer. Lights, originally candles then white bulb lights then to the more modern multicolored, blinking, fading, etc, have long been one of the corner stones of the Christmas celebration. Its not hard to see why we celebrate light in a season in which, for those in northern climates and from which the celebration originated, the winter means short harsh days and dark freezing cold nights. 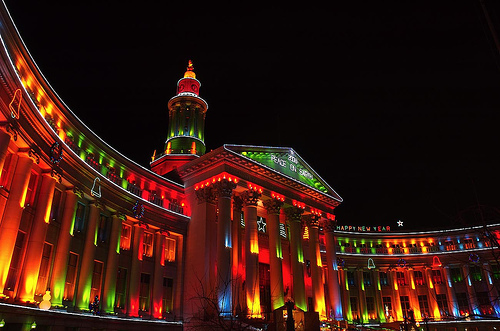 Not only have we taken to decorating our homes and trees with the small twinkling lights, some even shaped to look like blankets of snow caught on the eves, but our larger downtown and government building use architectural lighting to create whimsical, beautiful, and resoundingly modern displays. Though we are celebrating these wonderful creating we should also keep in mind the extra electric and resources these displays take up and be mindful of conserving in other areas to compensate. Keeping the heat lower and wearing a sweater for example. We hope everyone has a warm bright winter season this year. Thank you for reading our posts this year and thank you for all the color you bring to the world. 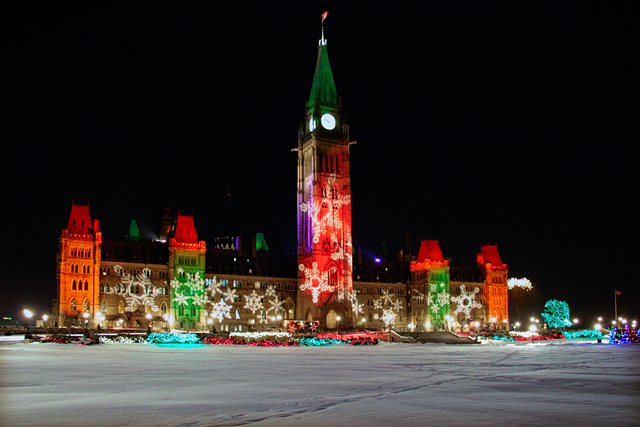 Oh and if you think governments and businesses have the upper hands when it comes to amazing holiday lights, this video will change your mind.